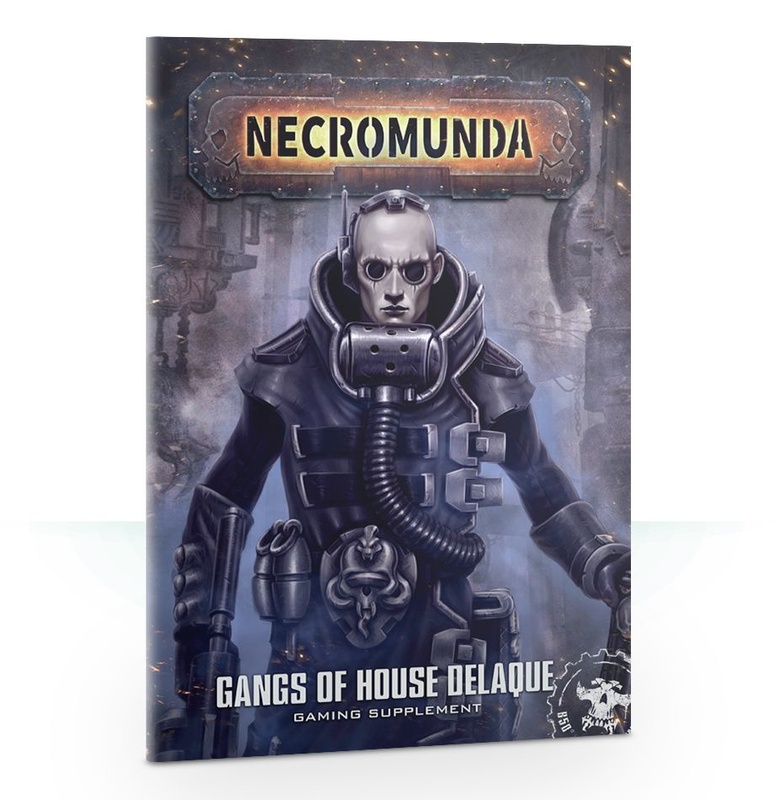 The new Blackstone Fortress game is unveiled in full, and the new Marneus Calgar miniature joins the war for Vigilus as the Ultramarines enter the fray. 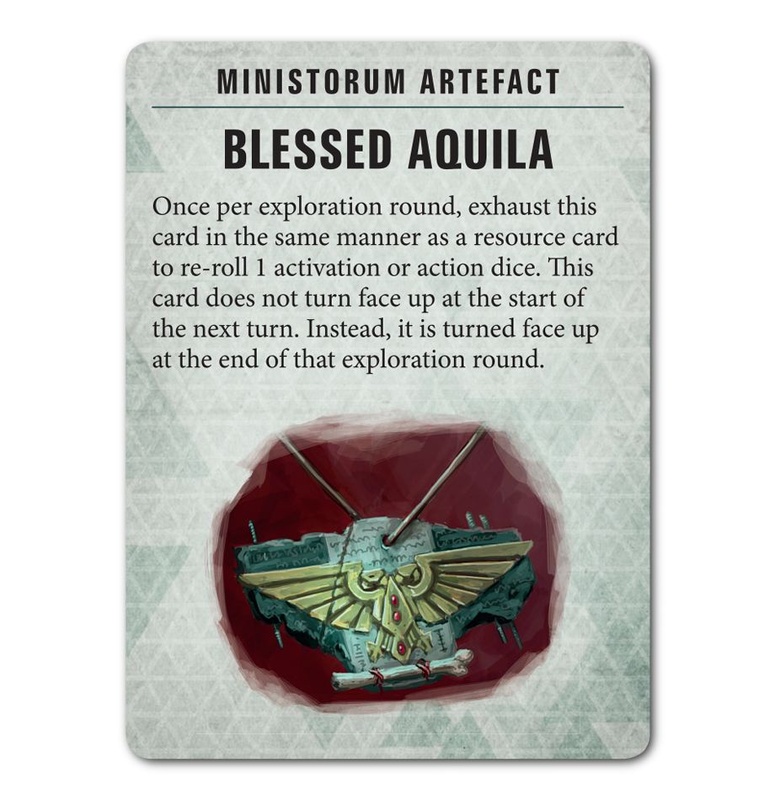 Plus new goodies for Adeptus Titanicus: The Horus Heresy, Blood Bowl, Necromunda and more besides! More letters from you, our readers. Plus festive snow. 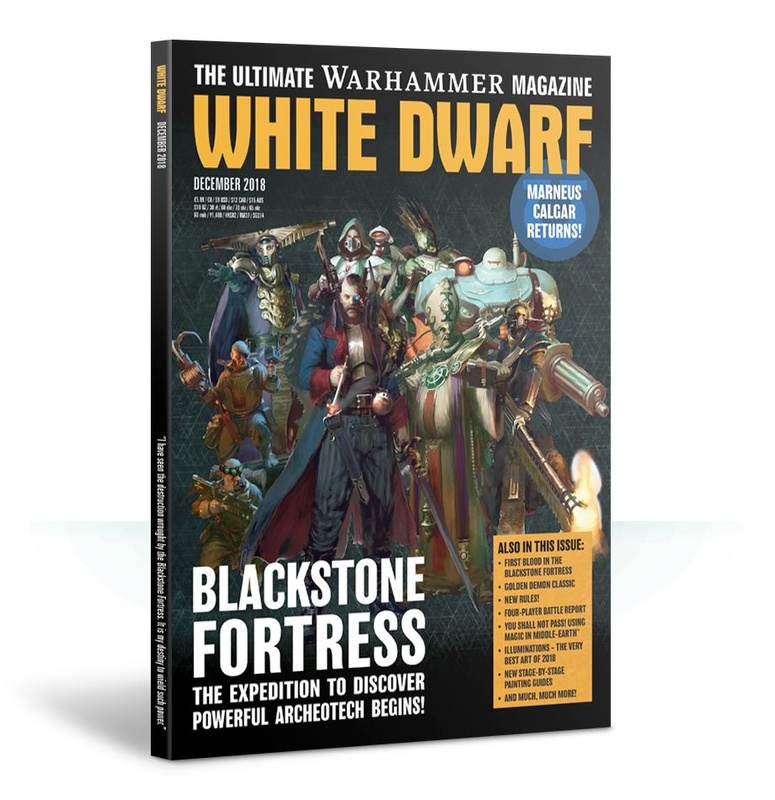 The White Dwarf graces the front cover of his own magazine back in December 2008. Love The Lord of the Rings™? Then read on, adventurer! 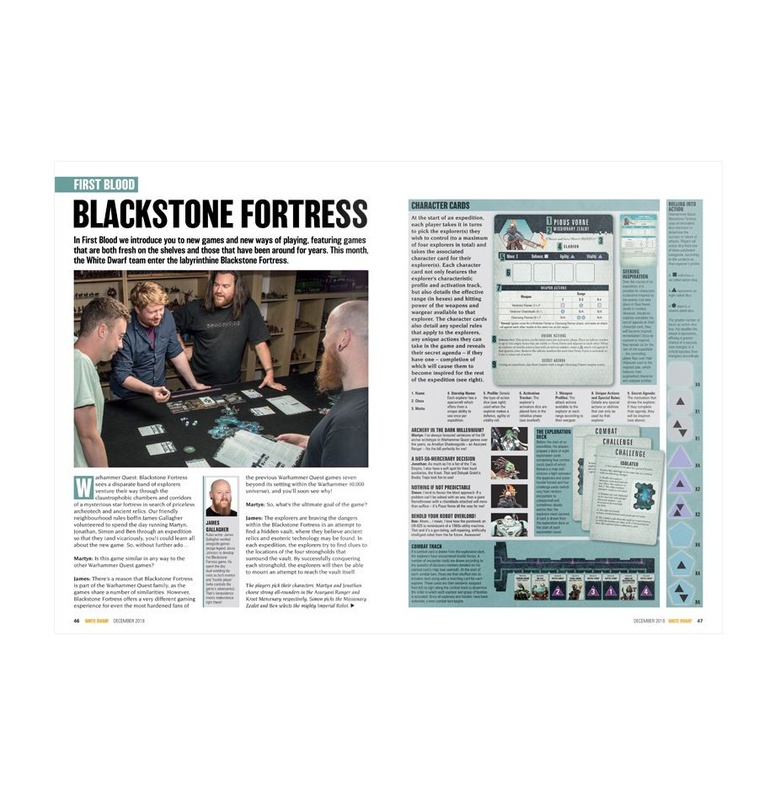 We put Warhammer Quest: Blackstone Fortress through its paces as four explorers (namely Martyn, Jonathan, Simon and Ben) undertake their first mission into the heart of a Blackstone Fortress in this detailed introduction to the game rules. 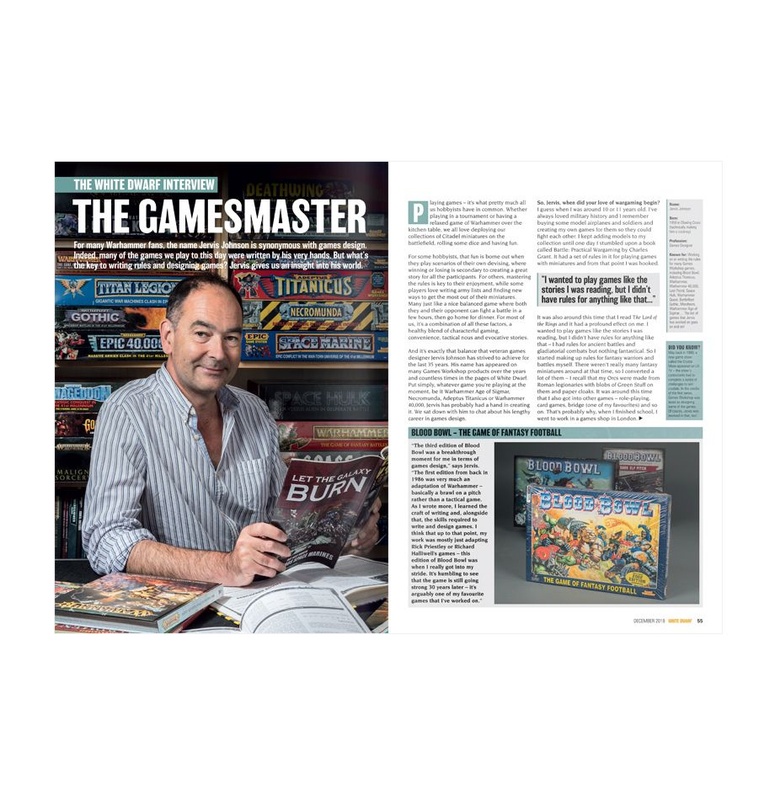 Legendary games designer Jervis Johnson tells us what it’s like creating games for almost 30 years! Apparently it’s not as easy as rolling a 4+. Another stunning winners showcase from this year’s Warhammer Fest, featuring the Warhammer Age of Sigmar Large Model and Blood Bowl Team categories. Watch the road, get up high and bung some grenades down the sewers. We take a look at tactics for the Cities of Death rules featured in Chapter Approved 2018. 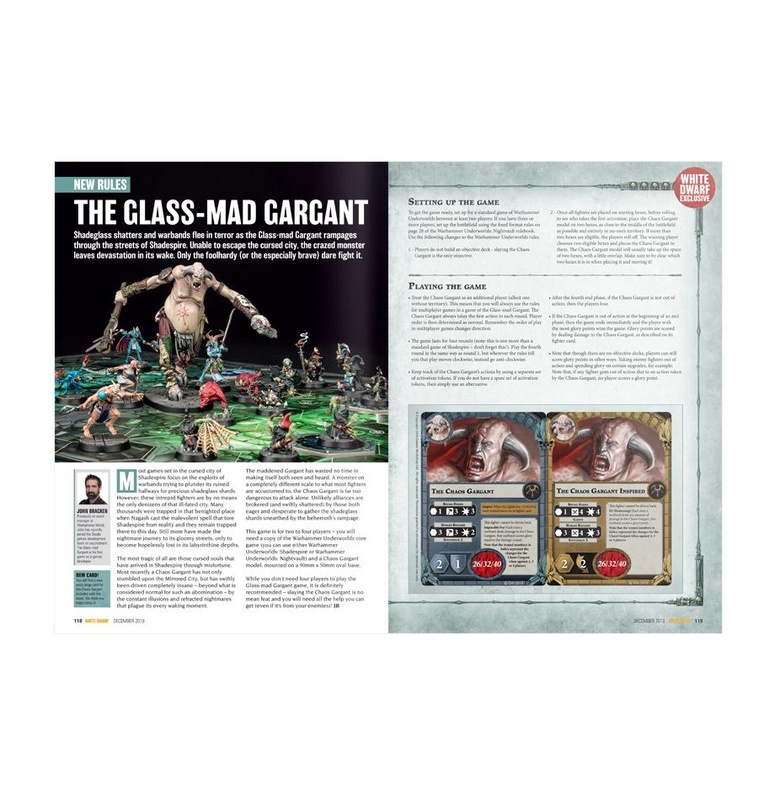 We talk to members of the Design Studio about their favourite pieces of Games Workshop art from 2018 and how it inspired their own work. A Wizard should know better! 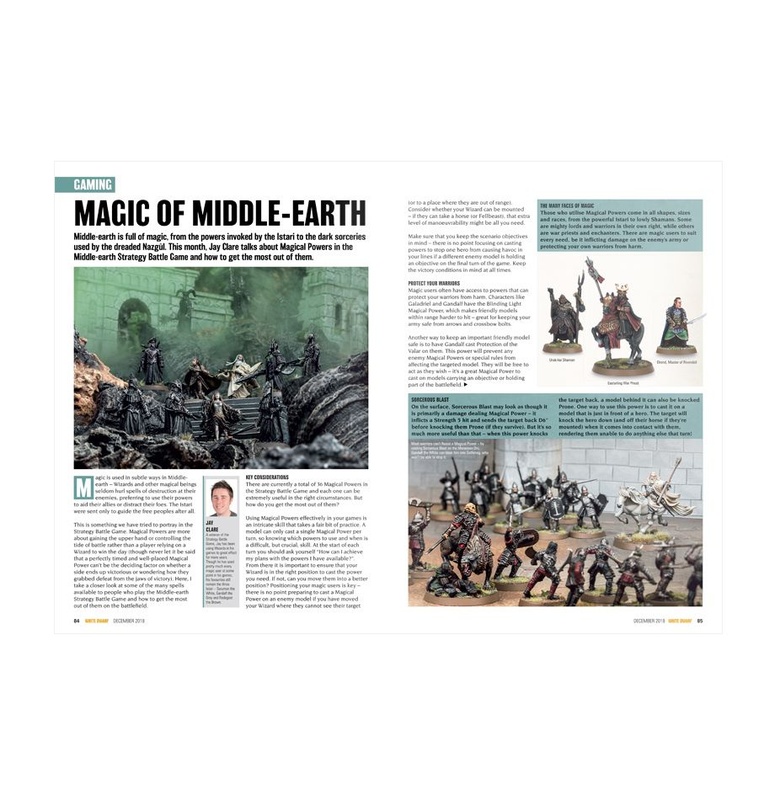 Jay Clare delves into the art of using magical powers in Middle-earth. 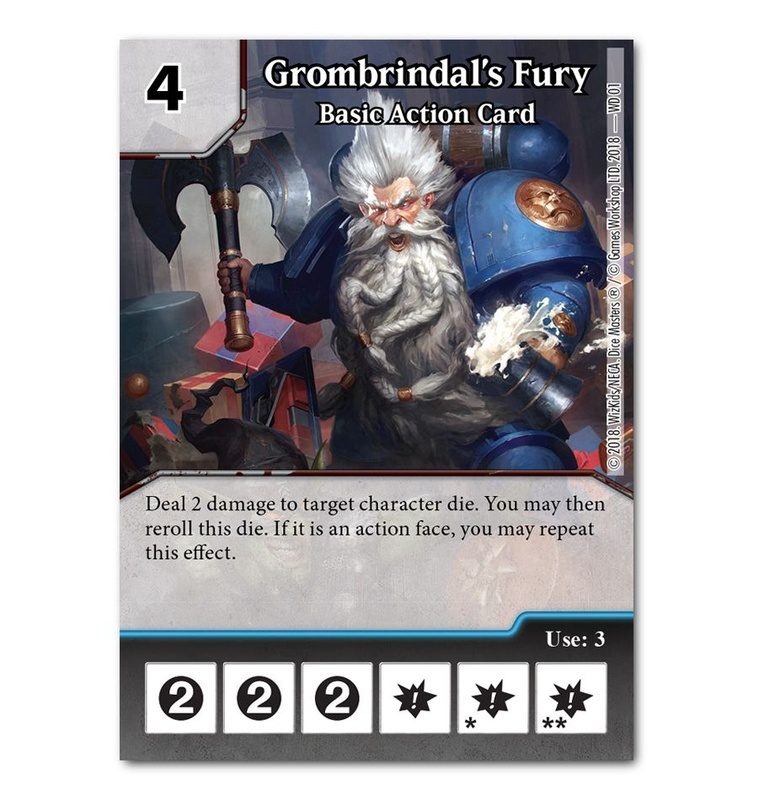 In a White Dwarf civil war, Matt and Jonathan team up against the writers Dan and Simon to fight for control of a wandering Realmgate (yes, really!) 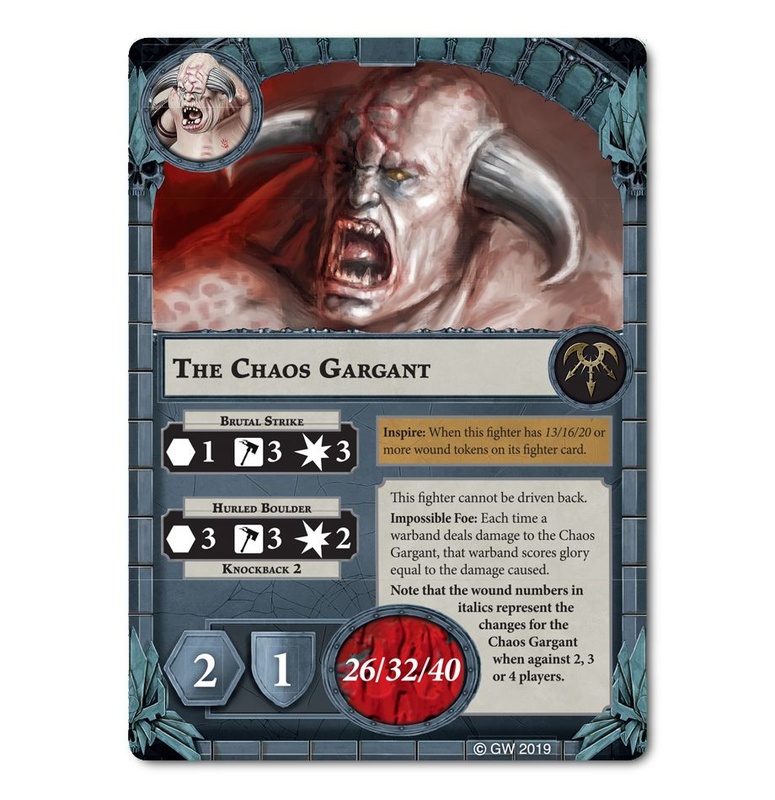 in a classic matchup of Order versus Chaos. Who knows where the Realmgate will end up? More miniatures madness from the creators of Lesotho 212. Be warned, it’s gory! Here you’ll find an exclusive mission for Warhammer Quest: Blackstone Fortress. 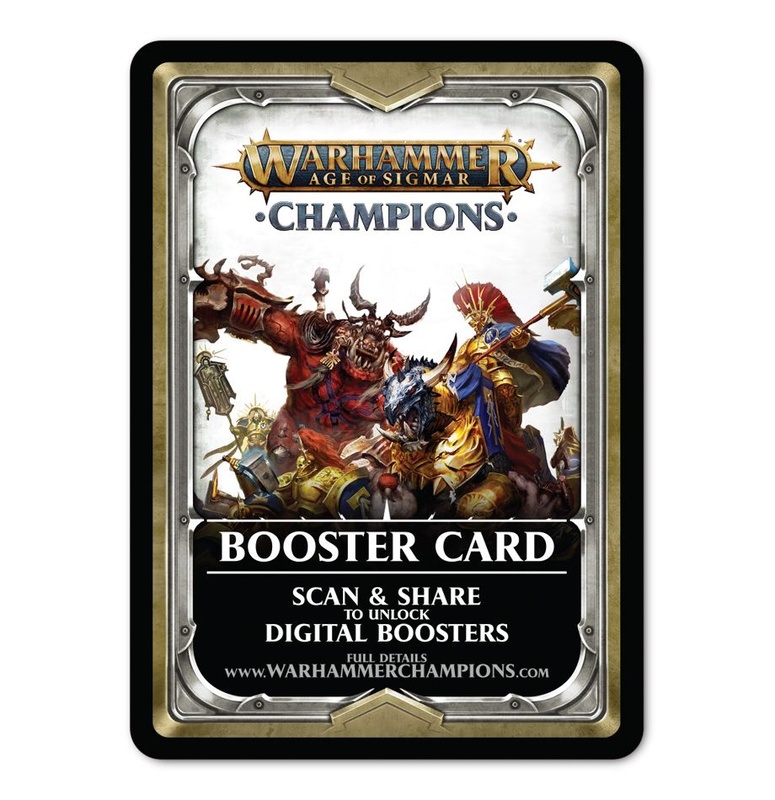 A new way to play Warhammer Underworlds that involves hunting down a mighty Chaos Gargant! Rules for using Cerastus Knights in Adeptus Titanicus: The Horus Heresy. Enjoy handy stage-by-stage painting guides for House Delaque and Gandalf the White (and Pippin, too). 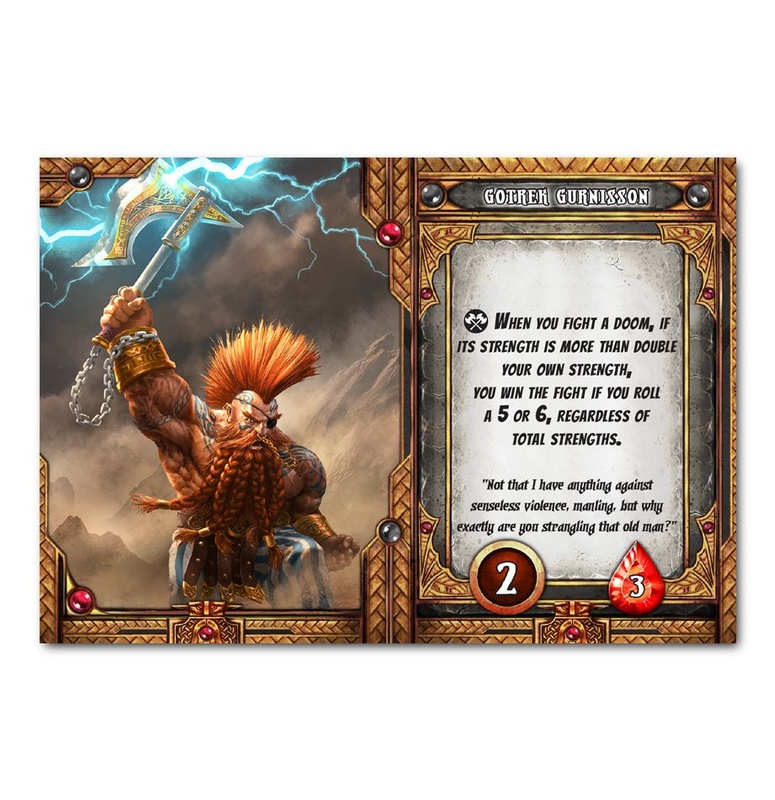 A gallery of miniatures painted by our lovely readers. All the latest hobby news from us lot, including what we’ve been painting and playing.